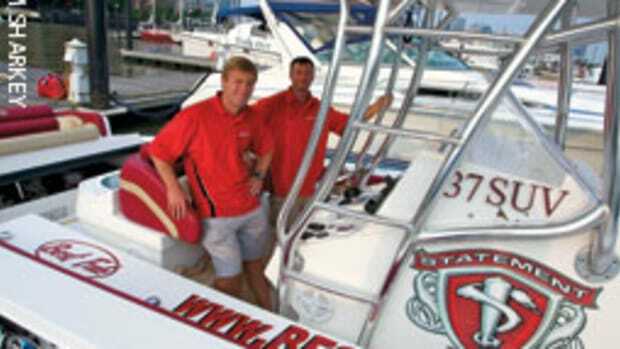 For the second time in a little more than a year, Chris Fertig and Tyson Garvin set the Bermuda Challenge record, a powerboat race of nearly 780 miles non-stop from New York to Bermuda. 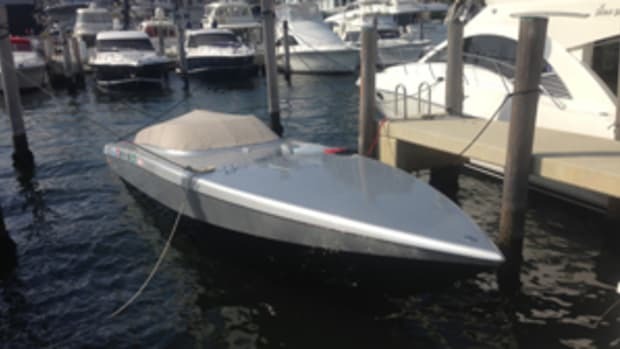 Leaving New York Harbor on Aug. 21 at 7:40 a.m., the duo (Fertig on the wheel and Garvin the throttles) made it to Bermuda in 15 hours and 48 minutes, besting Fabio Buzzi&apos;s mark of 17 hours, 6 minutes set last September. The two-man team ran a 2012 Skater with a stepped vee hull and built with carbon fiber and Kevlar. Twin 480-hp Cummins diesels linked to surface drives propelled the boat. 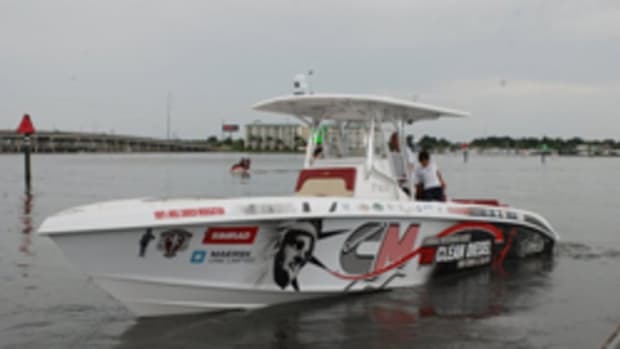 Fertig and Garvin set the record for the first time Aug. 5, 2012, running a 37-foot Statement Marine center console powered with twin 350-hp Mercury TDI (turbocharged direct injection) diesels and a shock-absorbing deck.